I abducted Skate Foss and made her dance on my laptop. Blue Mars Mobile released an update last week that lets you select another person's avatar to join yours in the virtual environment. The avatar's owner doesn't need to be present or give permission. For instance, here's an image of Skate Foss dancing on my laptop after I rezzed her avatar into my augmented reality scene. Can you imagine how controversial that kind of feature would be in Second Life? Intellectual property aside, the idea that someone could rez and puppet a copy of your avatar would be anathema to most SLers. Avatar identity is the killer app of Second Life. It's killer in the sense that avatar identity helps keeps its 100,000 or so avid participants coming back. And it's killer in the sense that avatar identity is an aspect of SL that freaks out the meatspace mainstream and kills broad acceptance. At least for now. I believe privacy concerns will make avatar identity more common in the not-too-distant future. I don't know about the future of Blue Mars Mobile. It's still mostly a dress up your avatar application. But the augmented reality feature is a lot of fun. If they add more animation options and the ability to walk through 3D space, it may evolve into something I'd use a lot more in machinima creation. For now, here's a short video that shows how two Blue Mars avatars can be animated together. 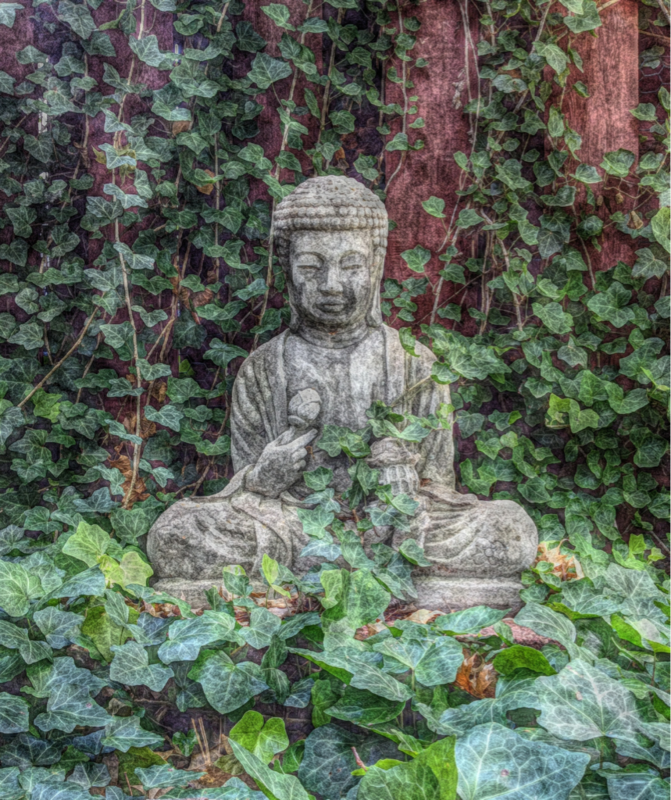 I used the augmented reality feature to project them in front of my backyard Buddha in real time. I applied effects with iSupr8 for a bit more visual interest and edited the video using Avid Studio on an iPad. Music is "My Comfort Remains" (Remixed) from the late great Nusrat Fateh Ali Khan. 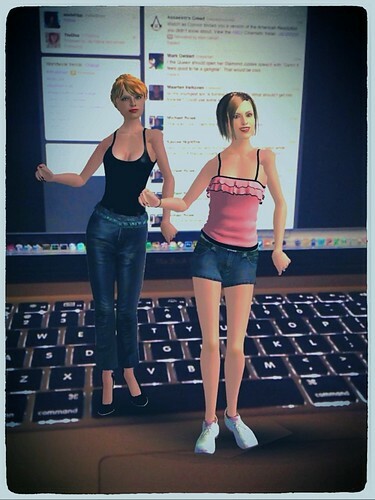 Though I never learned the technique, when I first started going to OS Grid 3 years ago, I met someone who was able to "clone" my complete avatar in real-time and what a trip it was to dance with multiple copies of my av! That was one of the moments that really got me intrigued with bots and avatar clones. You make the awesomest videos. You have my permission to use Chatelaine; she's really bored in bluemars. i once was at a party at Mal Burns' place in Reaction Grid. i then logged into Joykadia Grid and hypergridded in to Mal Burns' party so i could dance with myself.